My parents prayed it, and it might be the best thing they ever did for me. This is an emotional and thoughtful time for me. Fresh from one of the most satisfying weeks I’ve ever had teaching at Bible camp, I’ve jetted across the country to be with my mom as she enters hospice care. This has left my mind swimming in gospel-teaching thoughts that come from two sides at once: I’m reflecting on teaching those kids at camp, and also on how my mom taught me when I was growing up. The two are more connected than I usually acknowledge. My mom is a godly woman who faithfully prayed for me and taught me about Jesus since before I can remember. 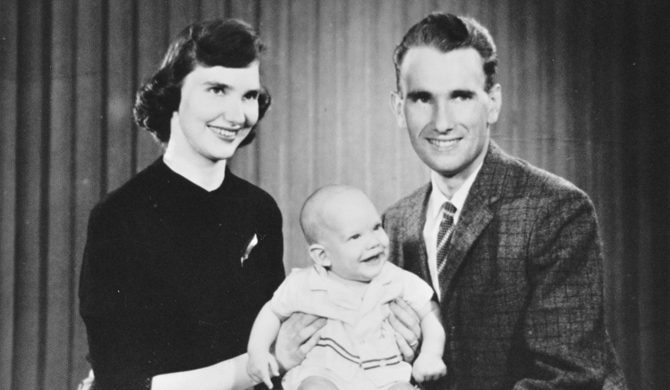 That’s her in the picture above, along with my dad and me, a little more than fifty years ago. My mom may be dying now, but as long as I teach the gospel a part of her will go on teaching, too. All this reminds me of this excellent article by Joel Beeke that I read earlier this month. One purpose of the article is to explain why Presbyterians and those of similar convictions baptize their children. As such, it’s helpful to anyone who wants to better understand the historical Presbyterian/Reformed perspective on the issue, whether they agree with it or think it sounds terribly wrong. 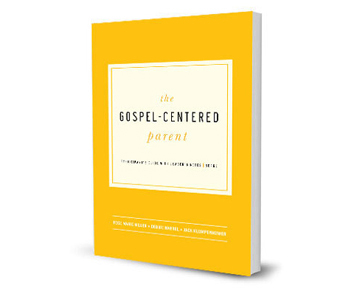 But the article’s chief value comes in the way Beeke sweetly encourages Christian parents of any stripe not just to teach their children but also to pray for their salvation. He reminds us that all kids—baptized or unbaptized, churched or unchurched, rebellious or compliant—need the Spirit’s work of rebirth if they are to become true believers. This means parenting is a faith venture, and one of the greatest gifts any parent can give his or her children is to pray for God to save them. Beeke quotes a hundred-year-old prayer by the Scottish preacher Alexander Whyte: “O God, give us our children, a second time, and by a far better birth.” My mom may never have stated it so expressively, but I know she often prayed that for me, as I have for my children. If that gives you a taste for more, here again is the link to the article. Songs for Saplings made all their music downloads free earlier this month. This family-run ministry puts simple theology to music, making it fun and easy for kids to learn. I’ve taught kids at conferences where Songs for Saplings was doing the music, so I can personally attest to how kids warm up to theology when they get to learn it musically. Especially if you work with younger kids, these downloads are worth checking out. While you’re at the site, look around. It’s a cool ministry in several ways. 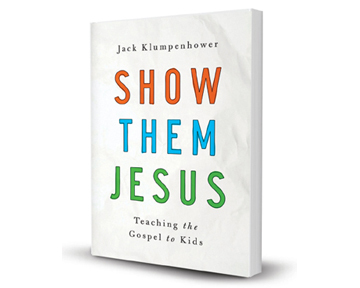 Last month my publisher was elated to discover “Show Them Jesus” in the #1 bestseller slot on Amazon under Christian Books / Children’s Ministry. (Okay, I’ll admit I too was pleased.) Now, a few days ago I was asked how it feels to have lost that #1 position. I hadn’t noticed. But having checked it out, my answer is that I’m buying the new #1 book and you should consider it too. 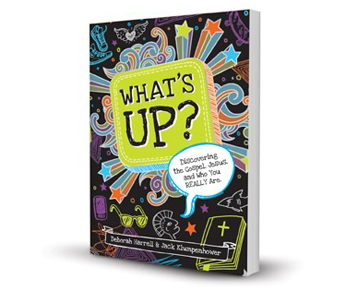 In fact, I’m excited that the new top book is one I’ve been waiting for, and that it comes from authors who love to share the gospel with kids. Are you wondering what book this is? Click here to see. On a related note… “Show Them Jesus” could use more customer reviews on Amazon. If you’ve read the book and wouldn’t mind writing a quick review there, that would be a big help to me! The book’s Amazon page is here. Finally, I’ve been interviewed about “Show Them Jesus” by Credo Magazine. The interview is online in two parts, here and here. This picture makes me cry. I’m so glad Jesus hated death too. Wow, it’s great to hear from you. Thank you for that encouraging reminder from my childhood.